FYI: I won’t say location, organization or team name. Over the weekend we went to a local tournament here Southern California. Great turnout and fun Competition. But what irked me was seeing these young HS wrestlers win their match and do a stupid little dance where they kick their legs side to side and then put up an L to their forehead. I wish I would have saw a coach interject. But kudos to a young ref, he told the wrestler quit that. Also on another mat, again, HS wrestlers were not even wrestling. They were doing what looked like Brazilian dance moves with high leg kicks and so on. And when they did wrestle, everything was exaggerated. I agree. But...Here’s the irony of the situation. Parents shop their kids like free agents, the kids get scholarships, we treat them like free agents in the summer...at some point they’re gonna act like pro athletes when they win. 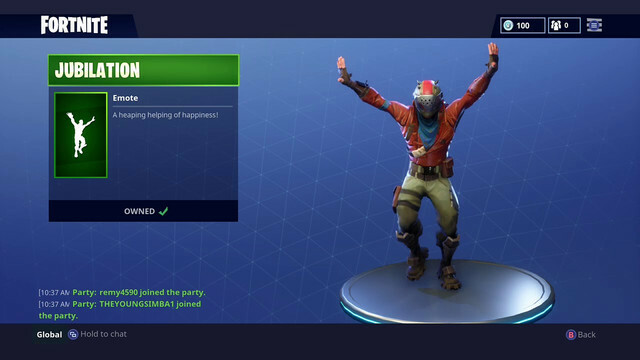 It's the dances that the characters do in the game Fortnite. Not condoning it but I've seen it and couldn't help but laugh. My kids are huge fans of that game. If they aren't wrestling they are playing that damn game. I've already warned them against doing that stupid dance on the mat. They are free to do it anywhere else they like though because it is damn funny. Let them celebrate , why not , shoot they have 10 seconds to enjoy before they are training for the next one. I might be out of the loop on what’s popular. 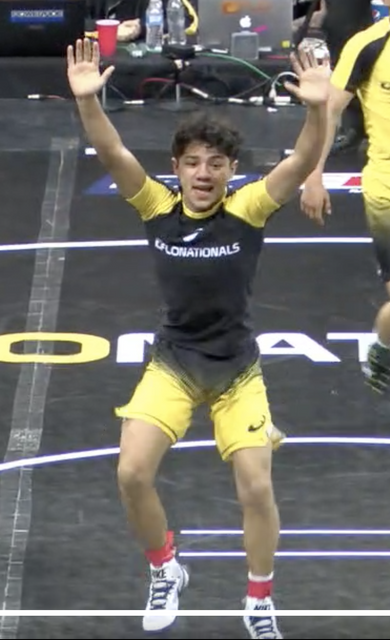 But I couldn’t allow my kids to do this on the mat after a victory. I just love a solid handshake and move on. Absolutely!!! I tell my kids to celebrate every win. Just not with that dance lol ! In my humble opinion, pinning the L on the forehead didn’t look acceptable. In baseball, they would definitely be getting one in the rib cage next at bat.